If you had told anybody what transpired at the weekend’s Cup of China, no-one would have believed you. The upsets and accidents that befell the skaters competing on the ice at the Mercedes Benz Arena in Shanghai will be discussed for months, possibly all the way up until the World Championships are held at the venue in March next year. The men’s event had been very humdrum up until the second warm-up group of the free skating. All the leaders (Maxim Kovtun, Yuzuru Hanyu and Han Yan) had made errors in the short which is to be expected given that this was the first international competition of the season for all three. Things took a shocking turn midway through the six minutes the final group of skaters were allotted in preparation for their free programmes. Hanyu and Yan clashed heads with one another while both were skating backwards. There was no time for them to avoid each other until it was too late. The two skaters lay on the ice for what seemed like an eternity. The warm-up was stopped and the other four skaters ushered off the ice. Yan stumbled off after them with Hanyu eventually being manhandled off. Most observers would have rationally thought there was no way either skater would be able to perform their frees. Yan lay down to be attended to rinkside. Hanyu staggered backstage to be patched up. If you presumed their next stop would be a hospital, you would be wrong. When the warm-up was restarted a visibly winded and bewildered Hanyu with his head and chin bandaged stepped out on to the ice with the other skaters. Yan did not appear and it was reported he had sensibly withdrawn. Hanyu attempted some jumps, some more successful than others and then the warm-up was over and the competition resumed. The events of the previous thirty minutes left even the skaters not directly involved in the collision shaken. Richard Dornbush fared the best of the first three after the break and landed his most difficult elements in the first half of his Coldplay routine before crumbling on the easier elements in the second half. His score would be good enough to give him bronze. The American was followed, much to the confusion and utter disbelief of those watching, by Yan. Predictably the results weren’t pretty. The 2012 World Junior champion looked completely disorientated and could only complete two clean triple jumps. He plummeted from third to sixth. 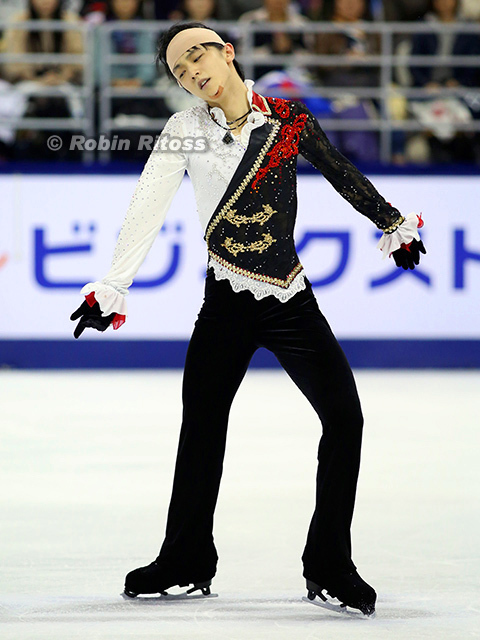 It was Hanyu’s turn next and if anything his “Phantom of the Opera” free was even more distressing to watch than Yan’s. The Olympic champion fell five times during the course of his programme. When he finished skating, the hordes of fans who had travelled to Shanghai to support him went berserk and the ice was soon covered in an array of stuffed toys, flowers and presents. Amazingly his score of 154.60 was good enough to put him in first with one skater to go. That skater was Maxim Kovtun and the Russian opened his Muse free with a fall on a quadruple salchow. He rallied with a quadruple toe loop and managed to stay on his feet for the rest of the programme to wind up with a total score of 243.34. This was the Russian champion’s first senior Grand Prix victory. Hanyu was taken away to a local hospital immediately after the competition ended and did not attend the victory ceremony. The entire incident certainly raised a lot of questions about the medical protocols in place for situations such as these, athlete welfare in general and the message it sends to younger skaters. The day had started with huge surprise. In the world of ice dance, even under the current judging system, the rise of teams to the top ranks tends to be glacial and unheard of that a team ranked thirteenth globally in the previous season could defeat World champions in the next. Eyebrows were raised when Anna Cappellini and Luca Lanotte wound up second to Maia Shibutani and Alex Shibutani by just under three points and were barely ahead of the young French team of Gabriella Papadakis and Guillaume Cizeron. The Italian World champions had certainly not attained high levels on some of their elements, but of even more concern were the programme component scores which were just a point over what the Americans received. Papadakis and Cizeron performed first of the top three in the free dance. The 2013 World Junior silver medallists were originally coached by Papadakis’s mother before they moved to Lyon to train with Muriel Zazoui and Romain Haguenauer. They left France earlier this year along with Haguenauer for Montreal where they now work with Marie-France Dubreuil and Patrice Lauzon. The free dance choreographed by Dubreuil to Mozart’s “Adagio from Concerto No.23” was quite possibly one of the most beautifully subtle and nuanced programmes to have ever been skated under the present judging system. There was not a superfluous movement nor a single beat missed. The judging panel were impressed too and awarded them a score of 98.00 which surpassed their previous best by eight points much to the surprise of themselves and their coach. At their very best, Cappellini and Lanotte would have been fully capable of beating that score, but today they struggled from the start with Lanotte tumbling soon after their “Danse Macabre” free began. The Italians also looked awkward on a straightline lift and generally did not look as crisp as they normally do. When a score of 86.88 popped up as they sat in the kiss and cry, they took it on their chins. It’s not the kind of numbers they will want to repeat at their next assignment in France. The Shibutani siblings had victory within their reach and with it automatic qualification to the Grand Prix Final. Perhaps it was because of this that the Americans skated their “Blue Danube” free quite conservatively and thought that if they stayed on their feet gold would be theirs. There were no errors, but a string of Level 2 elements cost them dearly and they looked crestfallen when their free dance score of 92.16 was revealed to push them down to second overall. This was their third competition of the season and their scores have been progressively getting lower which must be a concern. Mathematically, their two silvers at their Grand Prix events should be sufficient to carry them through to Barcelona, but it will depend on other teams. The other story of the ice dance event was the debut of Elena Ilinykh and Ruslan Zhiganshin who teamed up after their respective partners Nikita Katsalapov and Viktoria Sinitsina ditched them to skate together. They finished in a very respectable fourth place and skated well given that they have only been an on-ice partnership for six months. They compete against Sinitsina and Katsalapov at Rostelecom Cup this weekend. It has been a busy and successful six weeks for Elizaveta Tuktamysheva with three international titles. The only blip was a silver at Skate America, but in Shanghai the 2013 European bronze medallist was back to her best. After a personal best short of 67.99 positioned her in second overnight, Tuktamysheva reeled off another superb free that contained six triple jumps to secure a first Grand Prix title since 2011. The Russian also became the first skater to bag a berth to the Grand Prix Final next month. Julia Lipnitskaia had mixed fortunes in China. The European champion took the lead in the short with a technically accomplished routine. However, things fell apart in the free with four of her seven jumping passes not going according to plan. Even though her free score of 104.01 was only good enough for fourth in that segment, she was able to salvage a silver medal due to how she fared in the short. Due to a miscommunication, Lipnitskaia failed to show up for the medal ceremony after falling asleep at her hotel. She received a fine for her transgression. The bronze went to Kanako Murakami who was troubled with under rotations in both her short and free. The main event for the home audience was the pairs competition and the Chinese team delivered with a podium sweep for the first time in the history of the event. Cheng Peng and Hao Zhang dominated from start to finish and won by over twenty points. The Chinese champions included a quadruple twist along the way to their first Cup of China title. The future of Chinese pairs skating looks safe with the up and coming Xiaoyu Yu and Yang Jin and Xuehan Wang and Lei Wang sealing the silver and bronze respectively. 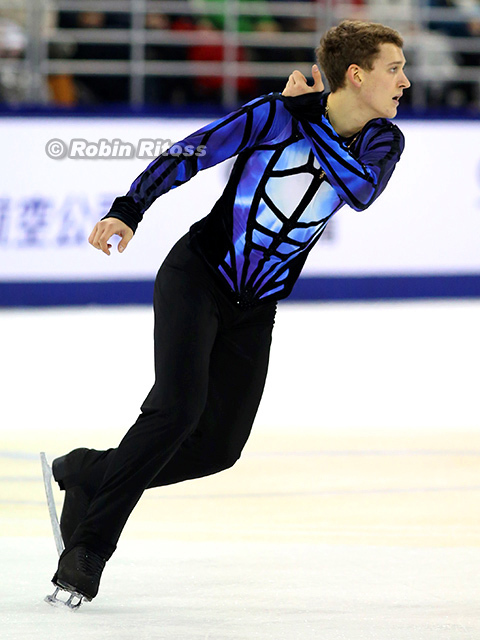 The Grand Prix Series moves on to Europe this week with the Rostelecom Cup in Moscow. After a two week hiatus, the ISU Challenger Series continued with the Volvo Open Cup in Riga, Latvia. Russia swept the podium in the men’s event with Alexander Petrov claiming gold. This result moved him into second place in the series standings. Gordei Gorshkov took the silver and Artur Dmitriev the bronze. Angelina Kuchvalska rose from fifth after the short to poach the ladies title for Latvia. Lutricia Bock came second with Jenni Saarinen in third. Federica Testa and Lukas Csolley climbed to second in the Challenger Series ice dance standings after winning their first international title. Viktoria Kavaliova and Yurii Bieliaiev won silver and Rebeka Kim and Kirill Minov took bronze, their first senior international medal. Due to the low number of entries, the pairs competition did not meet the criteria for recognition as a Challenger Series event. The medallists were Kristina Astakhova and Alexei Rogonov, Maria Vigalova and Egor Zakroev, and Maria Paliakova and Nikita Bochkov. Penny Coomes and Nicholas Buckland won their second title of the season with an easy victory at the NRW Trophy for Ice Dance in Dortmund, Germany. The European bronze medallists were the class of the field and, despite omitting a straightline lift in the free dance, romped home by almost twenty points. British teammates and training partners Olivia Smart and Joseph Buckland got the silver, while Olesia Karmi and Max Lindholm were awarded bronze. Alexander Majorov (SWE) has withdrawn from Rostelecom Cup. 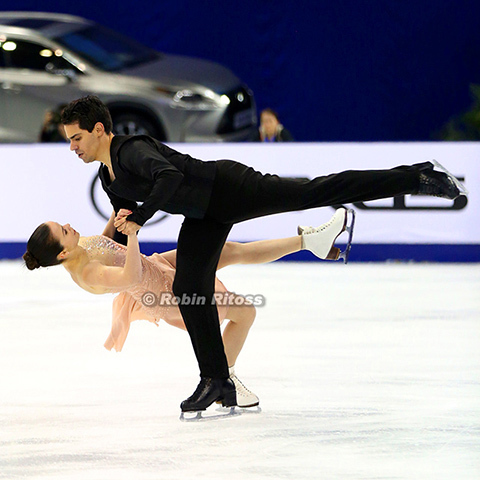 Romain Ponsart (FRA) and Anais Ventard (FRA) have both been removed from the list of entries at Trophee Eric Bompard. Douglas Razzano (USA) has been assigned to Trophee Eric Bompard. Mikhail Kolyada (RUS) has withdrawn from Rostelecom Cup. He is replaced by Moris Kvitelashvili (RUS). Kristina Astakhova & Alexei Rogonov (RUS) have replaced Vasilisa Davankova & Alexander Enbert (RUS) at Rostelecom Cup.